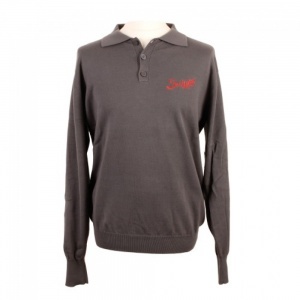 Founded in Argentina in the 1930s, Suixtil capitalised on the popularity of motorsport to become the 'must have' clothing brand for racing drivers across the world. 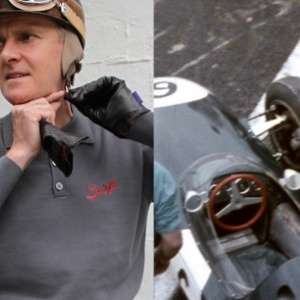 Fangio, Moss and Gonzalez were just a few of the famous - and extremely successful - drivers who proudly wore the Suixtil brand in the 1950s and '60s. Suixtil today creates styles that are faithful to the original. Using high quality fabrics, every item is tailored for comfort and fit. Combining the best of iconic designs with advanced technology. Suixtil prides itself on exceptional garments for those who value heritage and quality. This fine gauge, fully fashioned knitted long sleeve sweater can be worn for a sleek look on and off the track. Perfect for the slightly cooler days. Knitted in premium PIMA cotton. 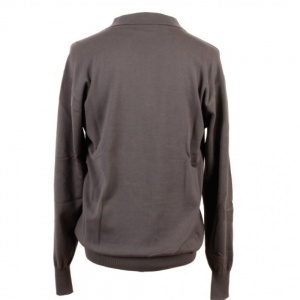 The sweater features tone in tone engraved logo buttons and a Suixtil embroidered logo. 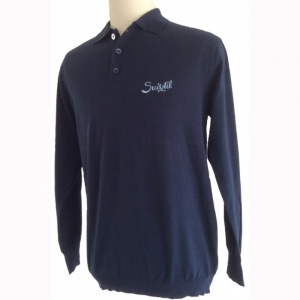 Available in vintage navy blue or mid grey, in sizes Small to X-large.